Jesus was born a Palestine Jew. He was born of Mary and Joseph at Bethlehem without impregnation and out of immaculate conception. He was meek and humble. He remained as innocent as a child throughout his life. He was tolerant, kind and merciful. He was a Yogi of the East though he preached in Palestine. Jesus welcomed and embraced the sinners, the despised and the harlots and purified them. 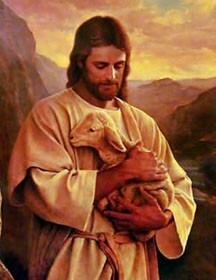 He comforted them and gave them solace and peace. He raised the fallen. He brought relief and rest to the broken-hearted. Jesus said: "Unless you become as little children, you shall in no wise enter the Kingdom of God". To Jesus, God was a loving Father. Jesus' watchword was love for God and fellowmen.